Egypt Yellow Pages Ltd announced that it is entering into a strategic partnership with Foursquare, the location-based mobile platform. Egypt Yellow Pages Ltd, the Local Search Company, announced that it is entering into a strategic partnership with Foursquare, the location-based mobile platform. The partnership is part of Foursquare’s “Venue Harmonization Project,” which is designed to verify the authenticity of venues on the platform and then place them in a separate application programming interface (API) that would facilitate location-based application development. Egypt Yellow Pages Ltd will provide Foursquare with its 220,000 business listings, which will help cleanse data on the Foursquare platform by removing duplicated listings and adding new venues. Rich content, such as photos, will also be submitted for the Egypt Yellow Pages Ltd venues. The way Foursquare works is, when a user logs in via a smartphone application or SMS, the platform provides relevant information about nearby venues based on the user’s location, and allows them to bookmark places of interest. Foursquare has an API that allows developers to build their ideas on to the platform, including new check-in functionality, games, and data visualizations. Foursquare’s business users utilize various tools to engage customers and audiences via the platform. 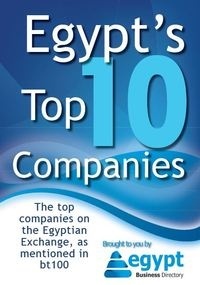 “Beyond Foursquare recognizing Egypt Yellow Pages Ltd as having the most comprehensive database of business listings for Egypt, we, as always, are happy to introduce exciting, new technology to our users and the Egyptian market,” said Marc Lambert, Managing Director of Egypt Yellow Pages Ltd.